At Larry A. Harman, P.C., we assist clients in Business Succession Planning, Business Formation and Closely Held Businesses matters. Based in Houston, we draw on our skill and experience to help you resolve your legal issue, no matter what is involved. Our focus is on a successful result. Please read my profile to learn more about my professional background. Business Succession Planning: If your business is in need of an ownership transition, we have the experience and knowledge necessary to help make the process go smoothly, no matter the size of your business. Business Formation: If you are forming a business in Texas, we look out for your best interests and can guide you through every step of the business formation process. Closely Held Businesses: Closely held businesses may face many issues, including succession, mergers and acquisitions, buy-sell agreements, tax issues and more. We are dedicated to helping you and your business reach your goals. Contract Law: To help your business to succeed, it is essential that you be represented by a knowledgeable contract law attorney. We can assist and guide you through the negotiation, drafting and review of contracts. Our experience in reviewing physician contracts has been going on for over 15 years. Estate Planning, Wills, Trusts & Probate: Whether you’re planning the parameters of your future medical care or establishing support for loved ones upon your death, a wills and probate attorney can help. We handle Texas estate planning matters involving tax issues, wills, trusts and more. We are dedicated assisting you in your well-being and that of your family. When you retain the services of Larry A. Harman, P.C., you can be assured that your attorney is fully qualified to handle your case. Larry A. Harman, P.C. sees your matter through from start to finish. Let us work with you to address your legal concerns. 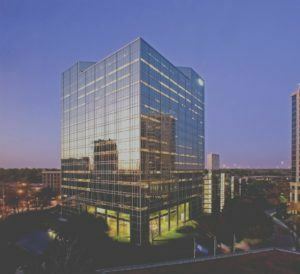 Our offices are conveniently located in Houston. Call the firm at 832-232-6314 to arrange your consultation or contact the firm online. Larry A. Harman, P.C. is located in Houston, TX and serves clients in and around the greater Houston area.